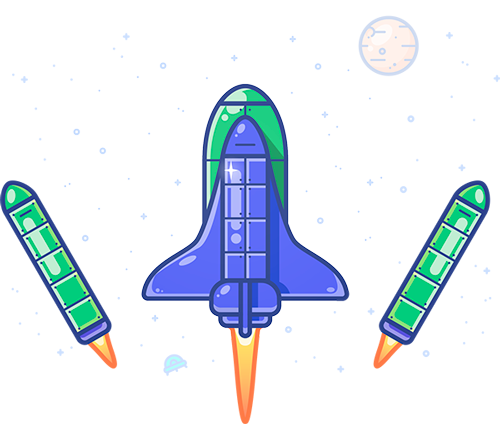 Rocket theme for Shopify is an ideal solution for single-product stores. 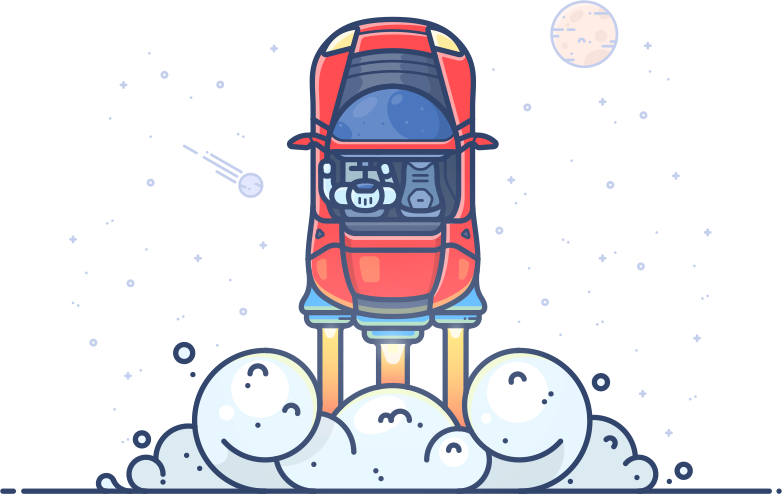 It has a large number of fully customisable responsive theme sections that allow you to quickly test different marketing techniques to get the best conversion rate. 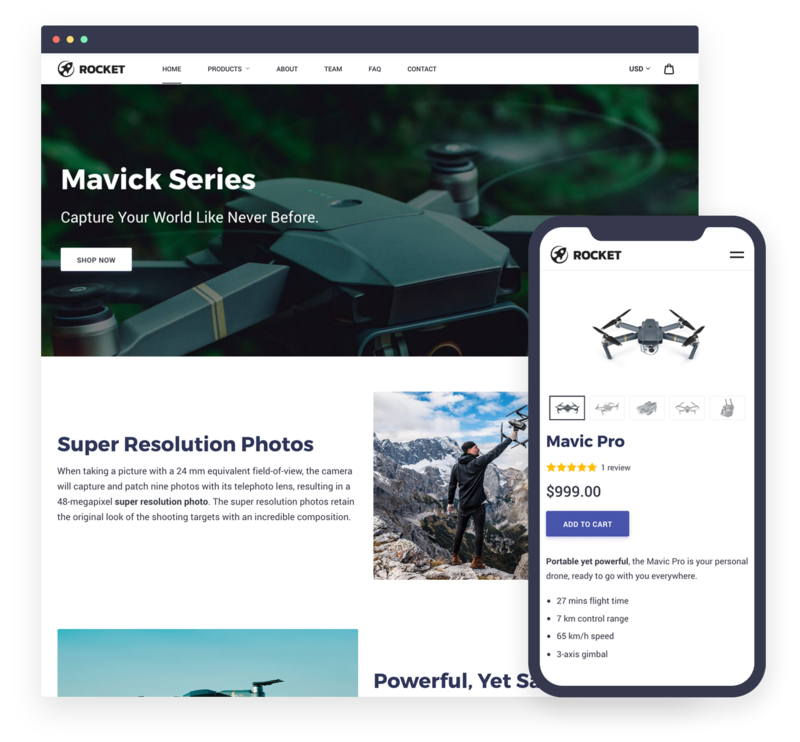 The theme is precisely designed for small-catalog stores, at the same time it has all the essentials for you to sell as many products as you need. The theme was specifically designed for small-catalog stores. 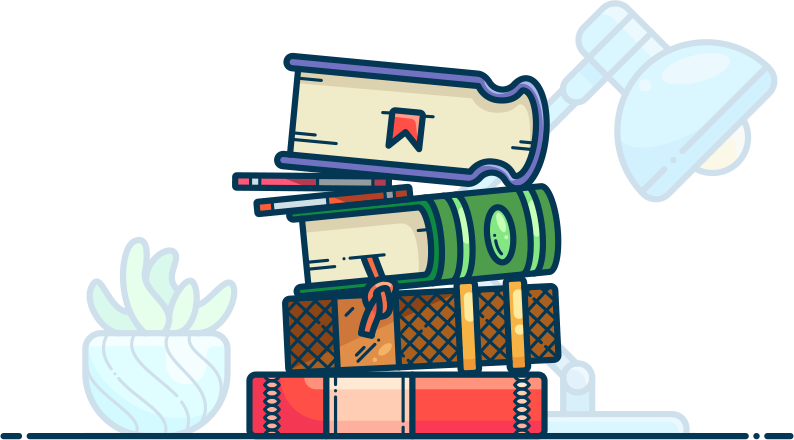 Easily and quickly create frequently asked questions with answers section. 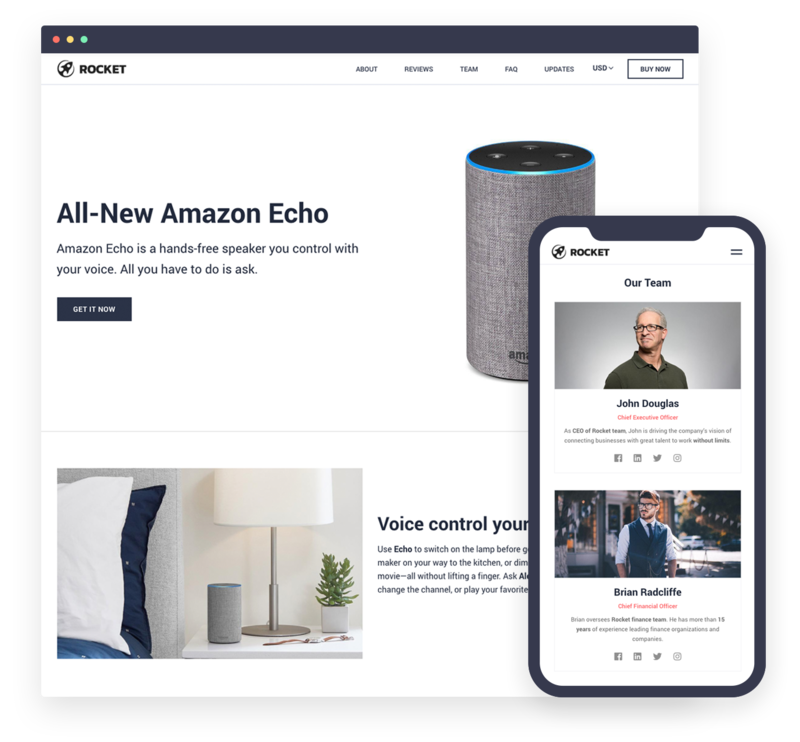 Display your latest tweet on the homepage or custom pages of your store. 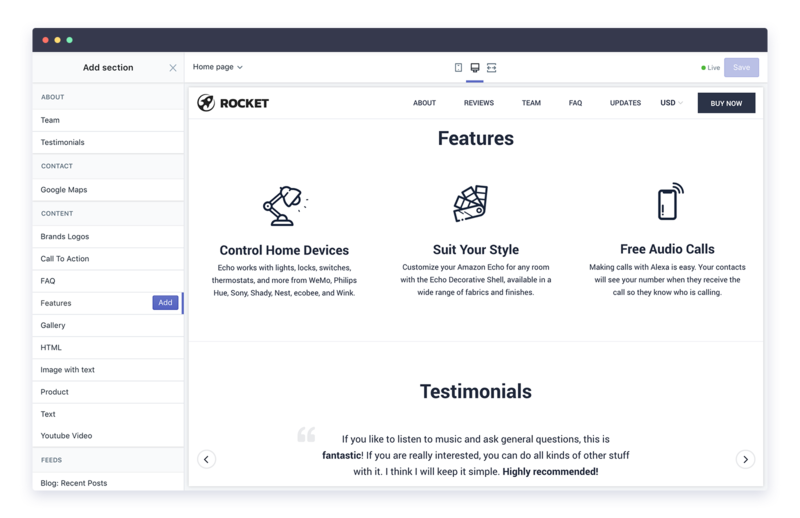 Our themes are designed to work perfectly on every screen size in order to satisfy your customers that like to shop on mobile devices. 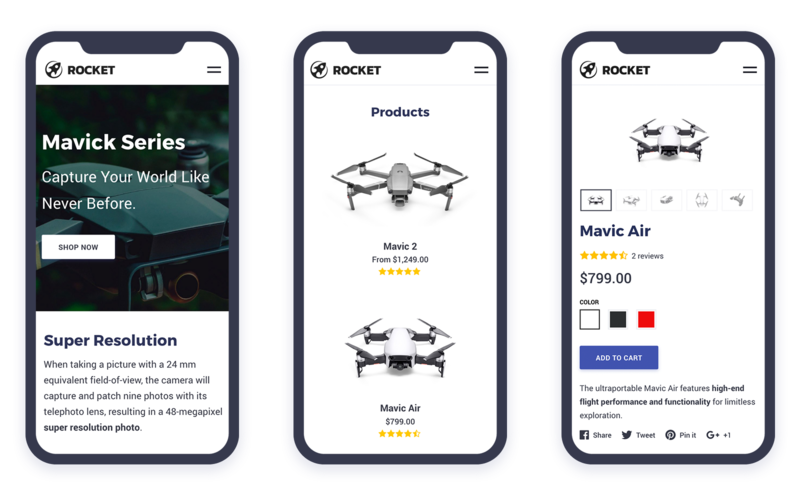 Responsive layout, elegant design, fast performance and amazing user experience make Rocket theme an ideal solution to increase a conversion rate of your Shopify store.